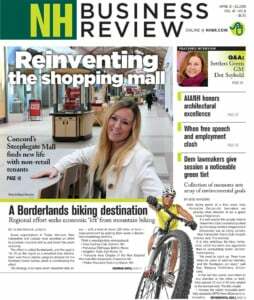 As the official statewide organization that is creating brand awareness of New Hampshire products and services, the original concept — called New Hampshire Stories Inc. — worked well locally, but was a bit esoteric beyond the Granite State. In 2004, Laurie Ferguson, who had been working with the organization since its inception in 1998, was asked to become its executive director and work on rebranding it, giving up a successful marketing firm of her own to accomplish that. Since Ferguson took the reins of the organization — renamed NH Made — it has grown from a few dozen members to over 850. She was instrumental in the redevelopment of the organization?s Web site, the redesign of the its logo, and she launched the successful publication "Guide to New Hampshire Products & Services," with an annual distribution of 100,000 copies, among countless other projects. 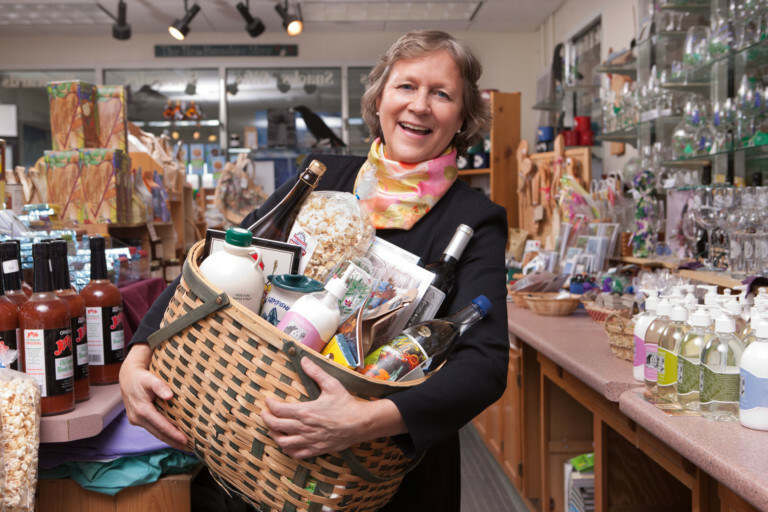 Having direct oversight of the two New Hampshire Stores on I-95, she has helped to double sales, and income generated by all other sources has risen by more than 80 percent. Ferguson is also a role model for breast cancer survivors, having waged and won her own battle with the disease. A. My whole career has been marketing. I love to write about and promote what I love. One of my first jobs was with a ski company because I love to ski. Then I worked for a Boston agency with lots of ski and sports clients. When I heard that there was going to be a task force developed for marketing products made in New Hampshire, now called NH Made, I wanted to be part of that. Since day one, I've been with the organization — first with the task force, then on the board, now executive director. A. I did ski racing all through high school and college, and that taught me a lot about taking risks and handling pressure. You don't win if you don't go fast and take risks. My first job out of college — I have a history degree from Middlebury College — was working with high school students at Holderness School. I loved it. It taught me teaching skills, which developed into communication skills. I only left to learn more of what was out there. A. I get to promote something I love. It's a natural fit. I truly feel every gift I have is being utilized — public speaking, writing, helping women. I also like the independence, being able to direct and lead, to go where my gut says we should go. I also have a very trusting board of directors! A. Financial stability for a nonprofit — you don't know if you?re going to get grants or not. Yes, I manage the two stores, but, bottom line, I'm responsible for payroll, and that weighs heavily on me. A. Take risks. Have the nerve to take a leap, especially if you're young. A lot of women hold back, but they are smarter than they think they are, stronger than they think they are.